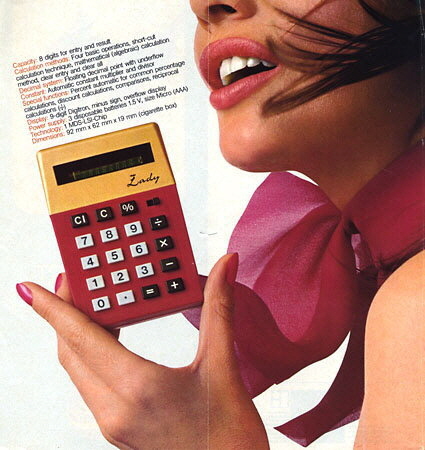 Distinctive features: Small "His and Hers" calculators. 63 x 92 x 21 mm (2.4" x 3.6" x 0.9"). 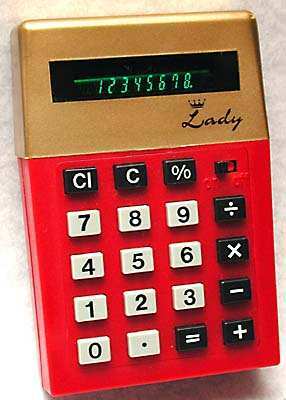 (This is the Triumph-Adler company, which at one time was part of the Litton Industries empire, along with Imperial and Royal). Showing the small size of the Adler Lady. 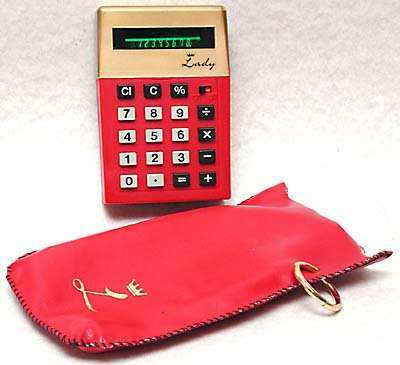 The Adler Lady with its soft pouch, complete with key ring. 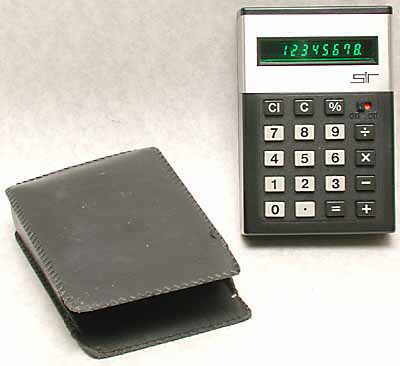 The complementary model is the Adler Sir, which has a less stylish casing and pouch. Brochure for the Adler Lady. Capacity: 8 digits for entry and result. 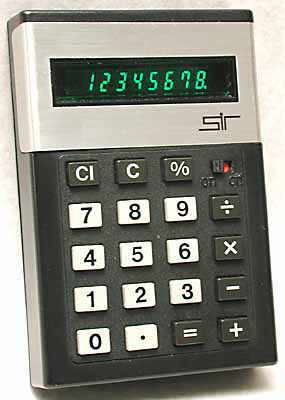 Calculation methods: Four basic operations, short-cut calculation technique, mathematical (algebraic) calculation method, clear entry and clear all. Decimal system: Floating decimal point with underflow. Constant: Automatic constant multiplier and divisor. Special functions: Percent automatic for common percentage calculations, discount calculations, comparisons, reciprocal calculations (1/x). Display: 9-digit Digitron, minus sign, overflow display. Power supply: 3 disposable batteries 1.5 V, size Micro (AAA). Dimensions: 92 mm x 62 mm x 19 mm (cigarette box). 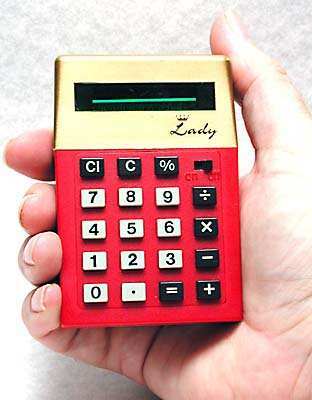 These tiny calculators are little larger than a credit card (though much thicker), as can be seen in the photographs above. The "Lady" is attractively styled and comes in a soft pouch, to appeal to ladies. The complementary version called the "Sir" was made for gentlemen.